The conference is part of the preliminary events that accompany and anticipate “Confiscated Properties: Architecture, Ideology, and Performance” (June 16 – November 4 2018), a project curated by Valentina Sansone. For almost twenty years, UK-based musicians Barry Russell and Tony Harris have been pioneering a range of techniques and strategies for creative community endeavour in which all participants are able to contribute, through their own preferred medium/media, to new work and explore and be inspired by a multitude of artistic practices. Drawing on ideas discussed in Harris’ book “The Legacy of Cornelius Cardew” (Routledge 2013) and in Russell’s new book for practitioners, “Everything We Do Is Music” (Edition Peters 2016), this session will investigate the way in which different art forms can inform, influence and coalesce through a process which is part exploration, part performance. In a workshop session conceived for Magazzino Brancaccio, a group of students from Conservatorio di Musica “Vincenzo Bellini” explore ways in which a project can grow organically and, in the final outcome, show how music, movement, words and visual arts can be inextricably linked and interdependent: a contemporary Gesamtkunstwerk. Barry Russell is a UK-based composer, performer and animateur, specialising in the creation of large-scale participatory performances with people of all ages. Dr Tony Harris is a musician, academic and educator, and the Dean of London’s Institute of Contemporary Music Performance. 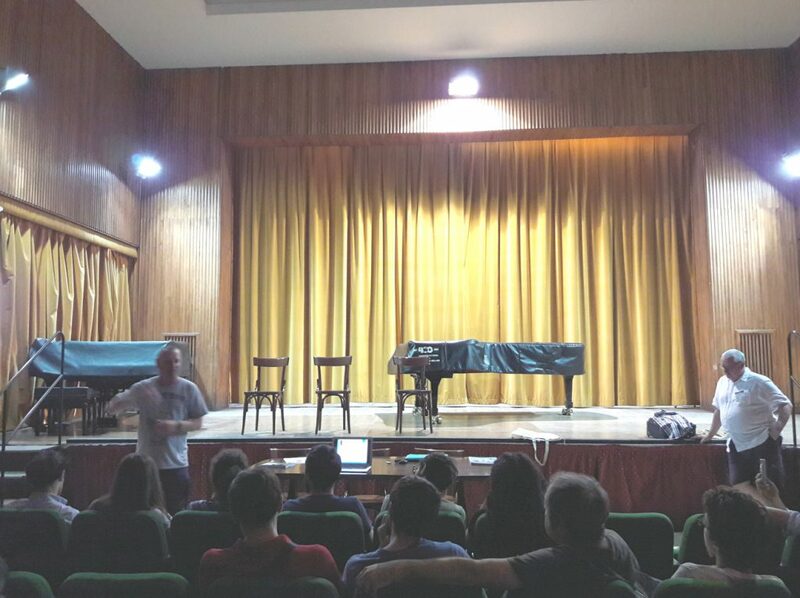 Lecture/workshop by Barry Russell & Dr Tony Harris, Auditorium, Conservatorio di Musica “Vincenzo Bellini”, June 13 2018 Palermo.